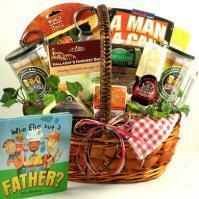 Send unique gifts and gift baskets to Greensboro, North Carolina for holidays and all gift-giving occasions. Easy online ordering and fast gift delivery to Greensboro. The Greensboro Children's Museum (http://www.gcmuseum.com) will provide a day of family fun. It is a place where kids can interactively learn about the world in which they live and see how things operate. Emerald Pointe Water Park, the Greensboro Arboretum, the Piedmont Triad International Airport, the Sit In Movement Inc, the Green Hill Center For NC Art, the Thesaurus Shoppe, the William Mangum Watercolors, the Caldcleugh Multicultural Art Center, and the Wet 'N Wild Emerald Pointe Water Park. The Wet 'N Wild Water Park (http://www.emeraldpointe.com) is the largest water park in the Carolinas. It offers over 36 attractions and much more for the young and old alike. Greensboro is the county seat of Guilford County. The city was named after American Revolutionary War General Nathaniel Greene. Originally Scots-Irish, Germans, and Quakers settled the city. These people put up a worthy fight during the American Revolution. In 1861, Greensboro became a Confederate supply depot. Today, the city is one of the United States' most desirable locations in which to reside. Credit for the popularity would have to go to the fact that the city leads in higher education, textiles, cigarettes, and electronics. Everyone wants to live here, but honestly, not many people think of it as a vacation destination. Yet, Greensboro has many attractions that are worth visiting. The population of Greensboro, North Carolina was estimated to be 229,110 in 2003. Nearby cities and towns are Forest Oaks, Jamestown, McLeansville, Pleasant Garden, and Summerfield. For those looking to achieve a higher education, Greensboro offers the University of North Carolina at Greensboro, the North Carolina A&T State University, Bennet College, Greensboro College, and Guilford College. Sports teams include (minor league baseball) Grasshoppers and (arena football) Greensboro Revolution. Several famous inhabitants of Greensboro (past & present) include (journalist) Edward R. Murrow, (2006 speed skating Olympic gold medalist) Joey Cheek, (writer) O. Henry, and (country music singer) Billy "Crash" Craddock. Greensboro was also the filming location for the 1988 movie Bull Durham. One interesting happening was when four black college freshmen asked to be served at a Woolworth's lunch counter in 1960. They were rejected due to their race, but the students refused to leave and took part in a six-month sit-in! Greensboro has many attractions that are worth visiting. It's a flourishing city with much to offer visitors to the area. Greensboro has several annual festivals including the Central Carolina Fair, the Eastern Music Festival, the Greek Festival, and the Ice cream and Musical Festival. If you prefer the performing arts then you can visit the Greensboro Opera Company or the Greensboro Symphony Orchestra. Greensboro has several historic sites and museums in which to explore, such as the Greensboro Historical Museum, the Guilford Courthouse National Military Park, the Natural Science Center of Greensboro, the Greensboro Children's Museum, the Tannenbaum Historic Park, the Weatherspoon Art Museum, the Blandwood Mansion & Carriage House, the Castle McCulloch, and The Crystal Garden.